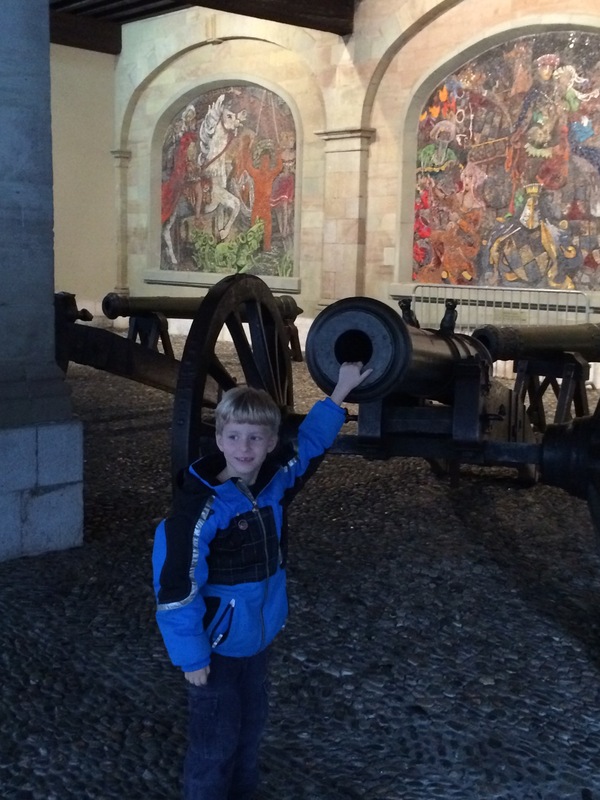 The Swiss Family Carlson visits Geneva! Geneva. Probably the first city you think of when the country of Switzerland is mentioned. Zurich is a very close second. And, really, can anyone actually name another city in Switzerland. I know my friend Karen can, but she is super smart. After staying home for an unprecedented 3 weekends in a row, we were itching to explore more of Switzerland. I picked Geneva. Because we can’t just live in Switzerland and not go to Geneva. It is a rule, I think. The Swiss have a lot of rules. 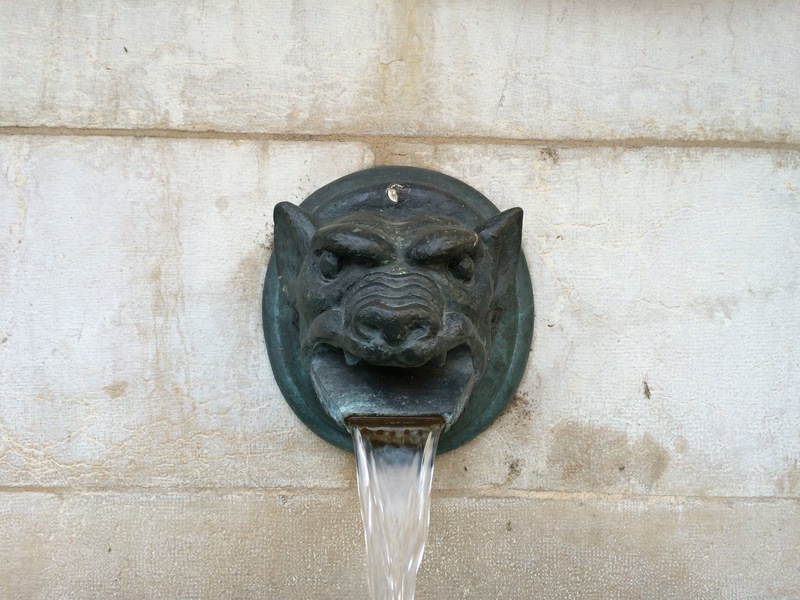 Geneva was a really interesting city. It was waaaaay down in the lower Western corner of Switzerland. It’s practically in France so it was almost totally French speaking and Mark was able to break out his incredibly rusty French to help us on our way. There is also a HUGE immigrant population there from northern Africa and from India, providing us with amazing cuisine that I miss in Basel. For lunch we found a neat place called Ind’Italia that served classic Italian pizzas (which we got for the kids) and some Indian pizza mash-ups, which we got for ourselves. 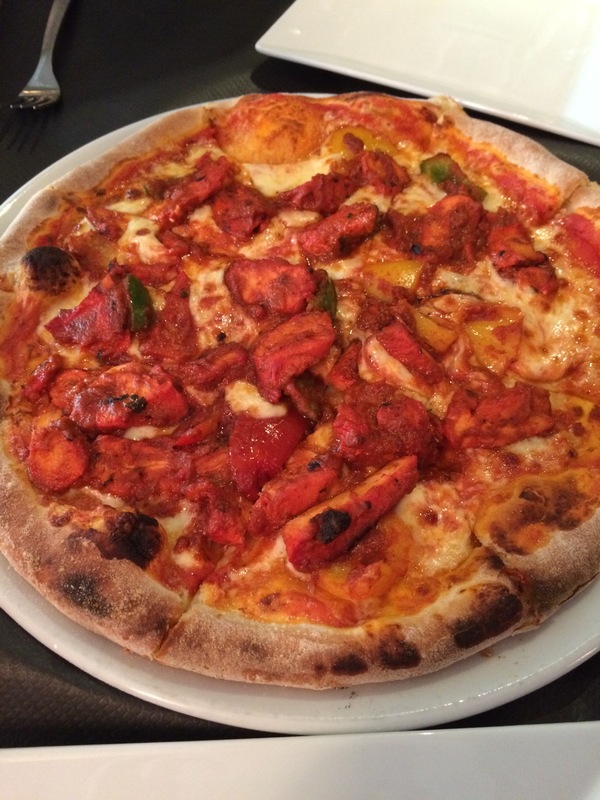 It was called The Jodphur which was a lovely wood fired pizza topped with mozzarella cheese and chicken tikka masala. I would have that every weekend if I could. The Jodphur: Chicken Tikka Pizza. But back to Geneva. 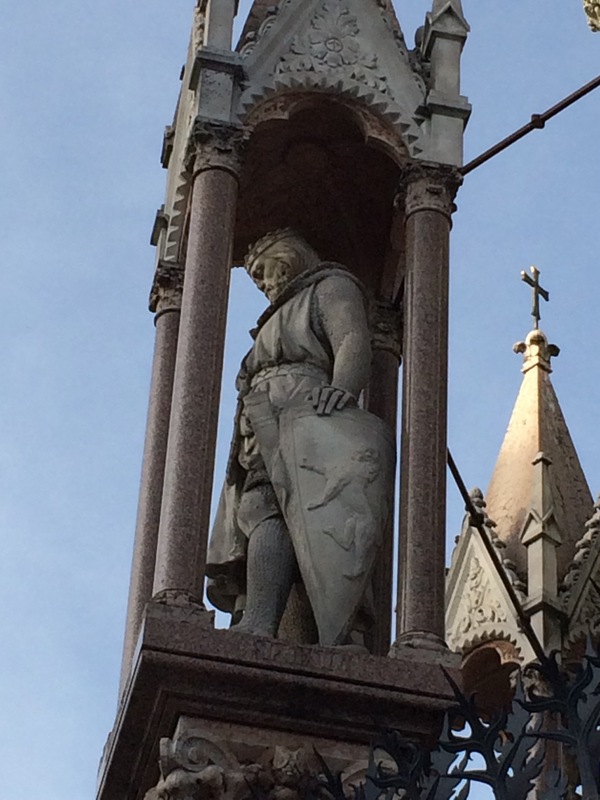 The one architectural thing that surprised me the most was the Brunswick Memorial. To me it didn’t really fit with what I consider Swiss, or even French, architecture. A quick search on the internet tells me why. 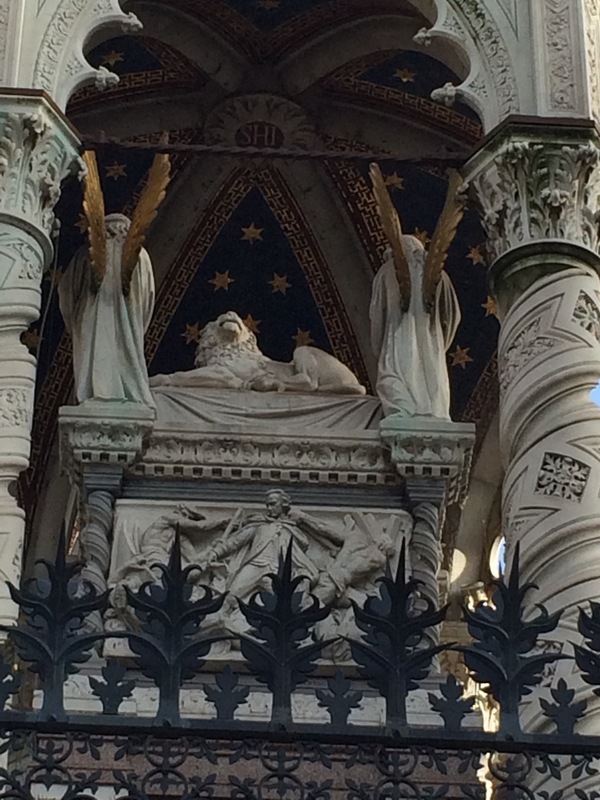 Charles II, Duke of Brunswick had them copy the Scaglier Tombs in Verona, Italy. He thought very highly of himself. He was a terrible leader who was thrown out of his Duchy by his people actually hurling rocks at him. 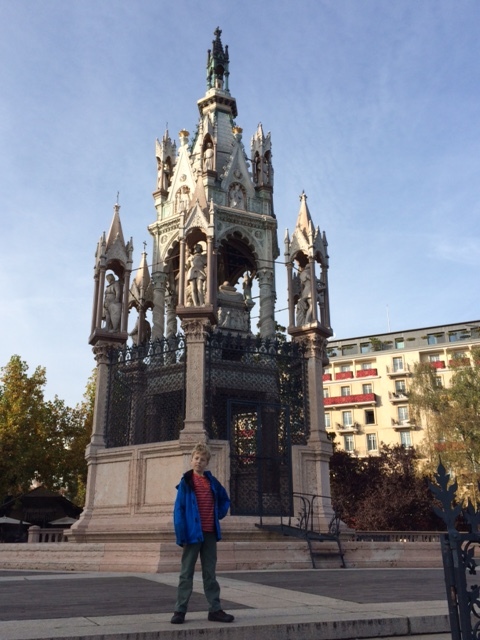 He moved to Geneva and then left his entire fortune to the city with the stipulation that they build this incredible monument to him. Brunswick’s actual tomb. That would be him fighting off the rebels. And, no, Shaun, I don’t think those are Weeping Angels on top. One of Brunswick’s ancestors that I thought was Richard the Lionhearted for a second. I’m sure he would have been thrilled by my error. 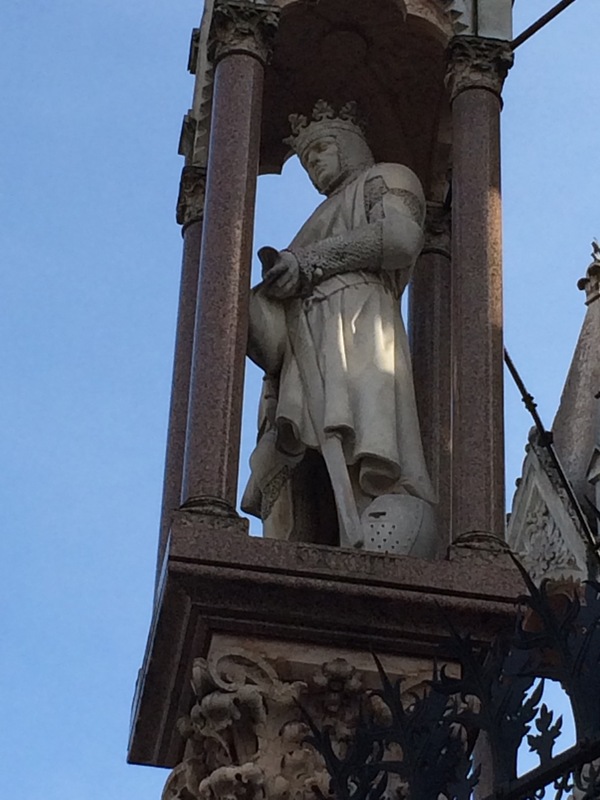 A King Arthur-looking ancestor of Brunswick. 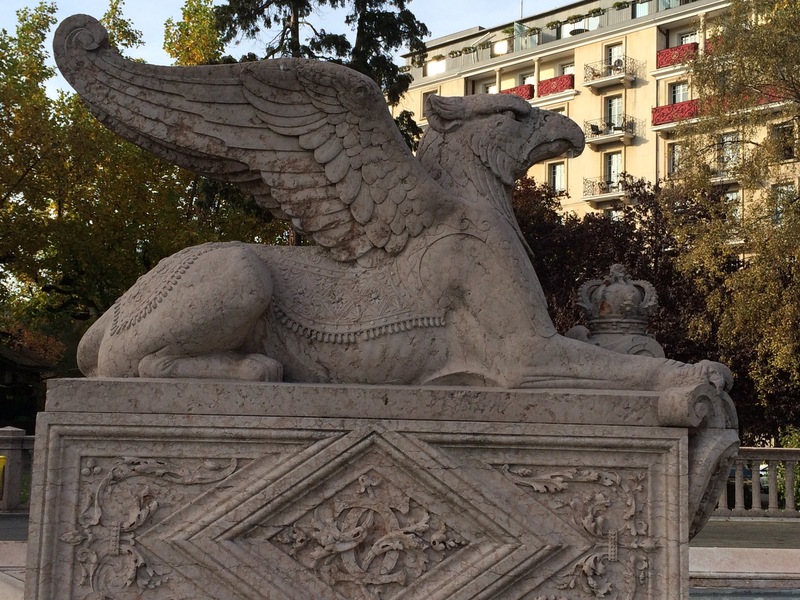 One of the coolest griffon statues I’ve ever seen. His monument takes up a whole block! But since he left them millions of dollars (in 1873! That’s billions today!) the people of Geneva don’t seem to mind. 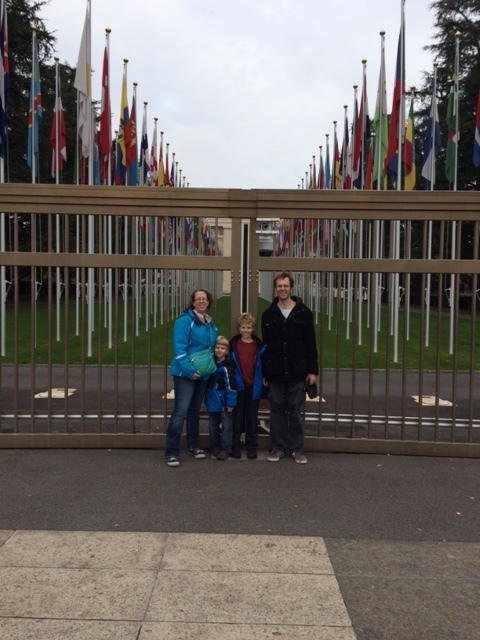 We, of course, went to the United Nations buildings. They were closed. The Swiss Family Carlson outside the United Nations building. Geneva is also a very walkable city. We went through a lovely park and then happened across this building on the Wilson Quay (pronounced “Key”). 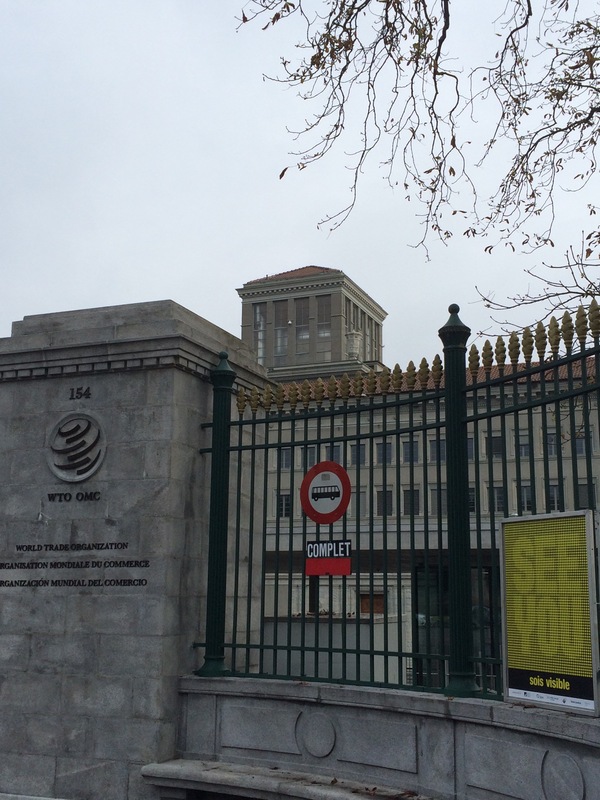 It is the Palais Wilson where Woodrow and his friends put together the League of Nations. Frankly, it was cooler than the UN building. 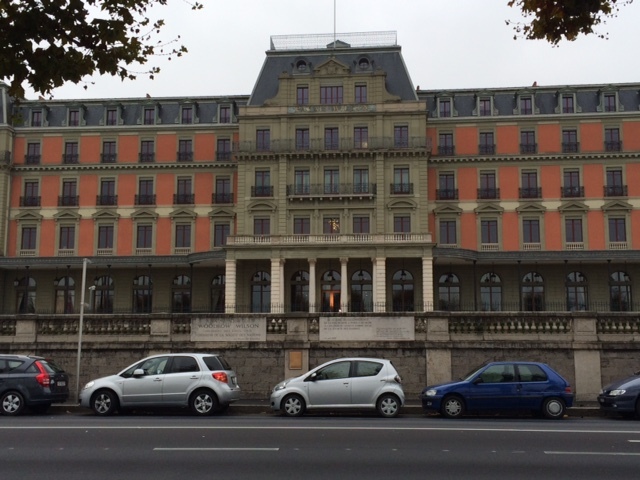 The Palais Wilson were the League of Nations was constructed. 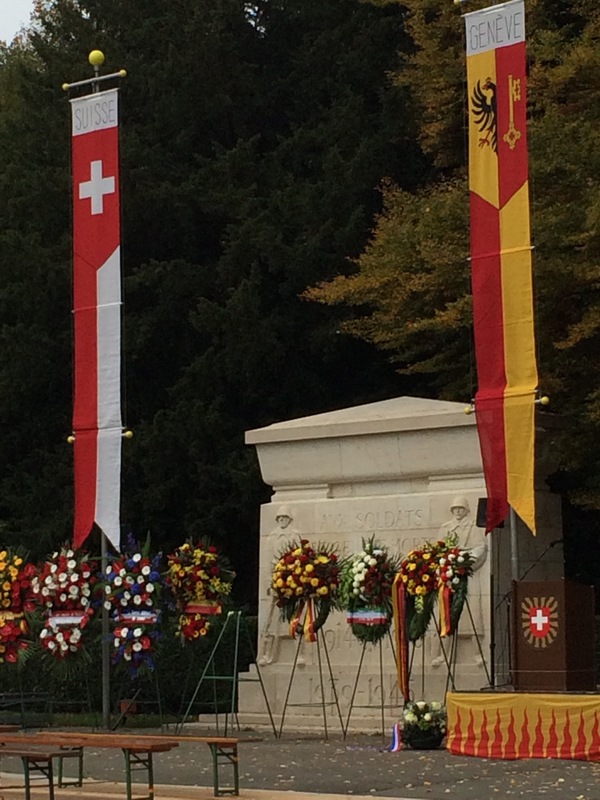 We also happened to be there when they were celebrating Armistice Day. 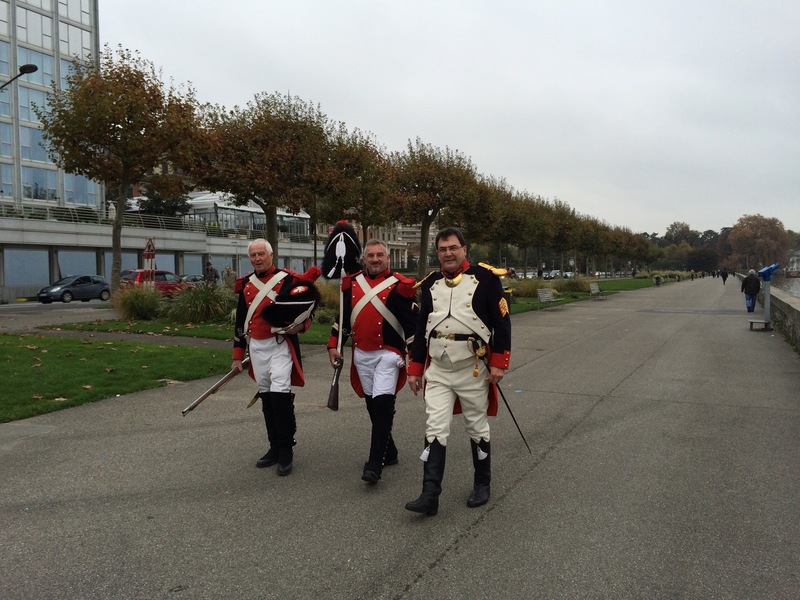 There were soldiers representing every war the Swiss/French has fought in. I don’t quite know what Red Coats were doing there. Maybe representing the French and Indian War? 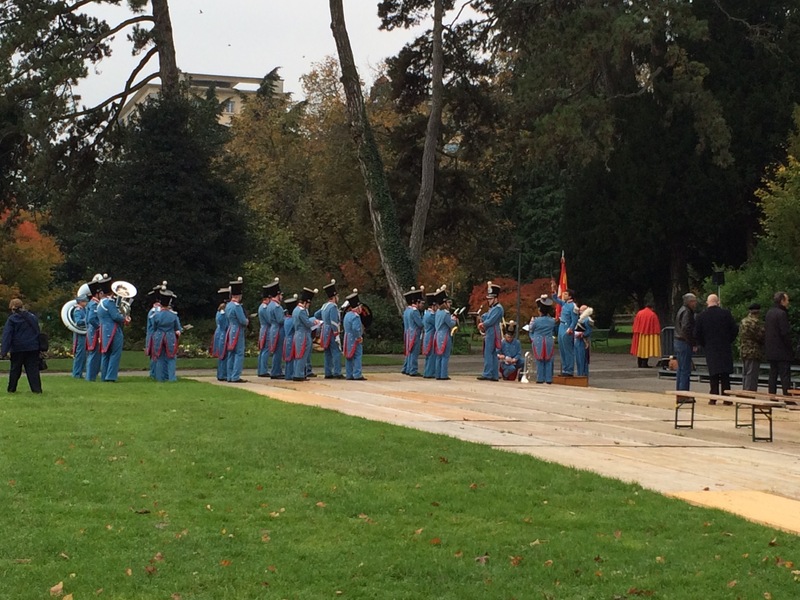 The band played beautifully. H was happy to sit here for quite a while. It was a very impressive display. They take honoring their soldiers very seriously, which I guess is to be expected of a country who tries to remain neutral. My boys sitting in a tree having a great time. 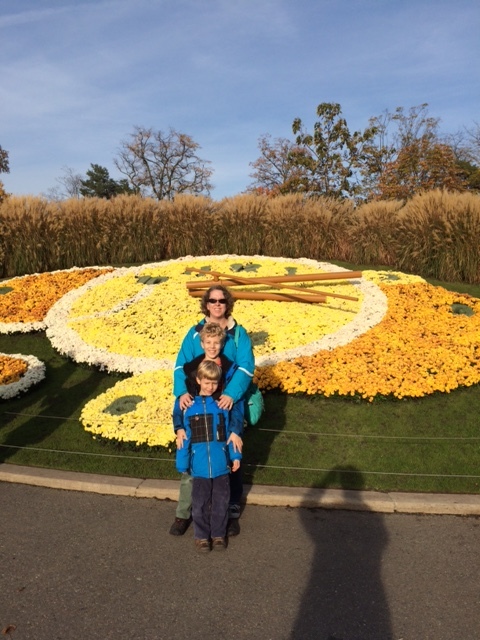 We also found the Geneva Flower Clock! And Mark’s shadow made it into the photo! Mark was trying to distract me from seeing all the premium shopping right behind him. Rolex, Hermes, Louis Vuitton, Mont Blanc, Coach. They were all there calling my name. 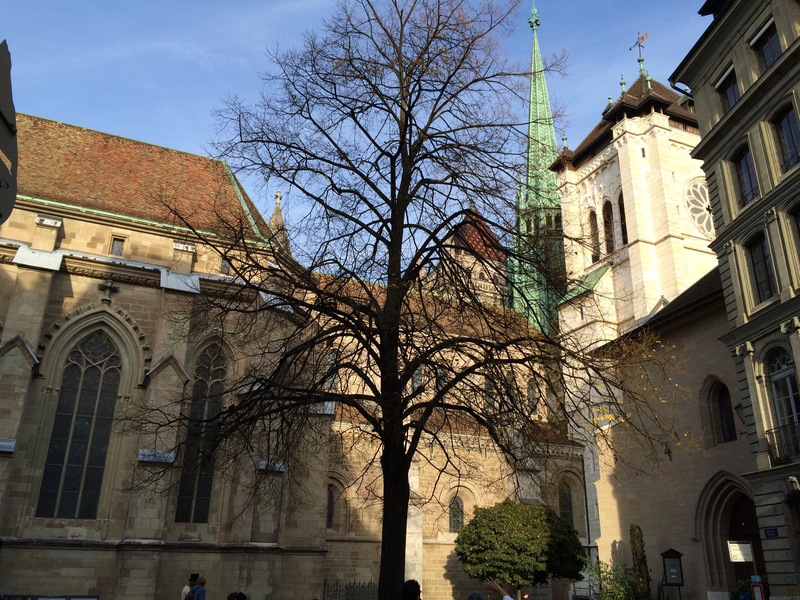 Geneva is also where John Calvin hung out. And just up the road was the St. Pierre Cathedral, the “adopted home church” of the above John Calvin. I loved the irony of the church of founder of a sect of Christianity known for it’s austere principles is literally steps away from some of the most expensive luxury-good shopping in the whole world. St. Pierre Cathedral. Once Catholic, now Reform. 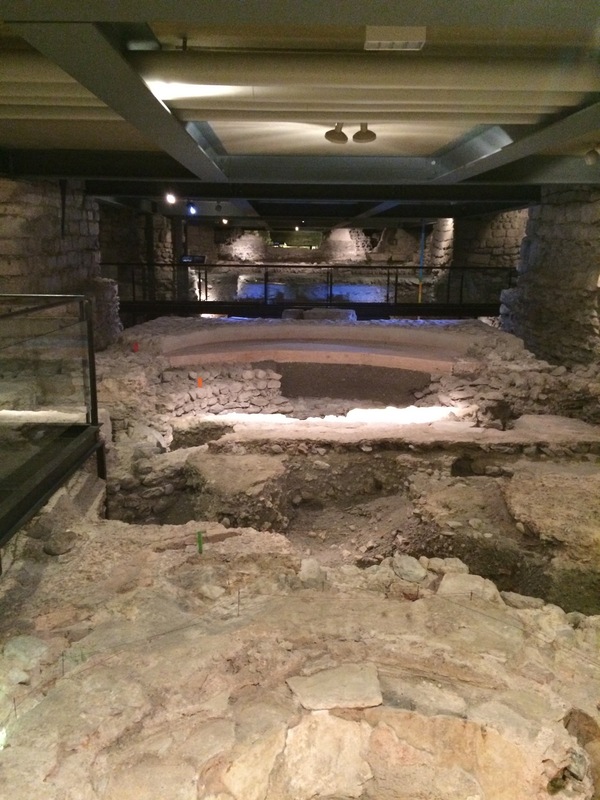 What makes this Cathedral extra special is that there is an active archeological dig going on underneath. The church has had about 5 or 6 makeovers. The builders just heaped debris and soil over the part they were no longer using and built on top of it when they needed to. 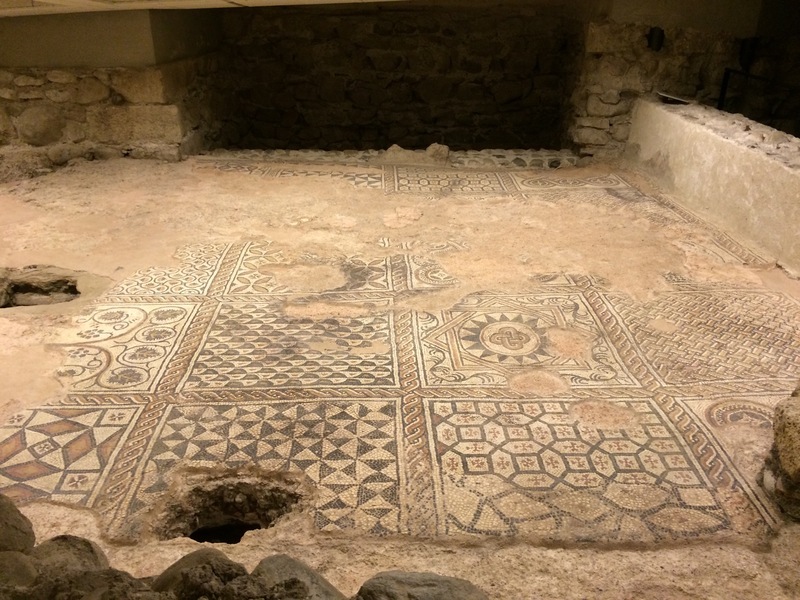 There are 5 or 6 time periods there, including the burial of a powerful barbarian warrior who was extremely revered. Part of 5 different baptismal fonts along with a good view of how expansive the archeological site is. It was extremely cool. 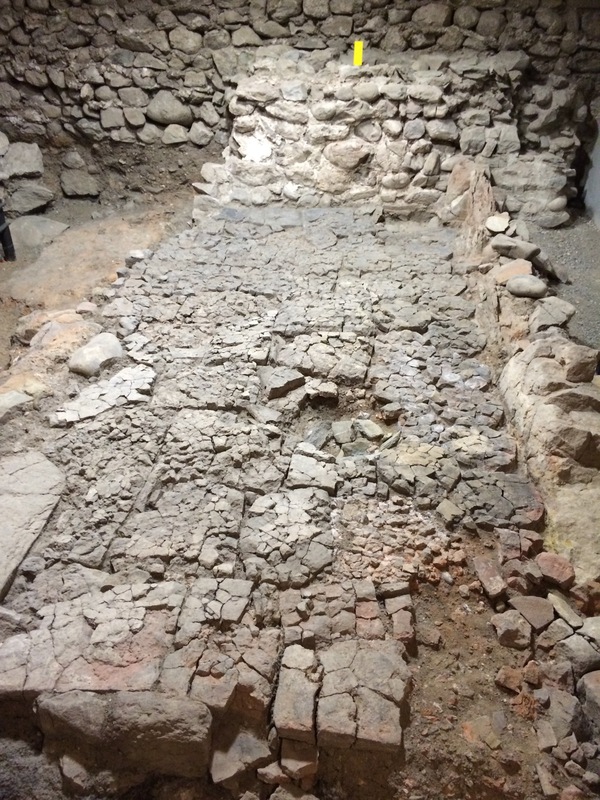 We spent about an hour and a half going through the maze of digging under the cathedral. 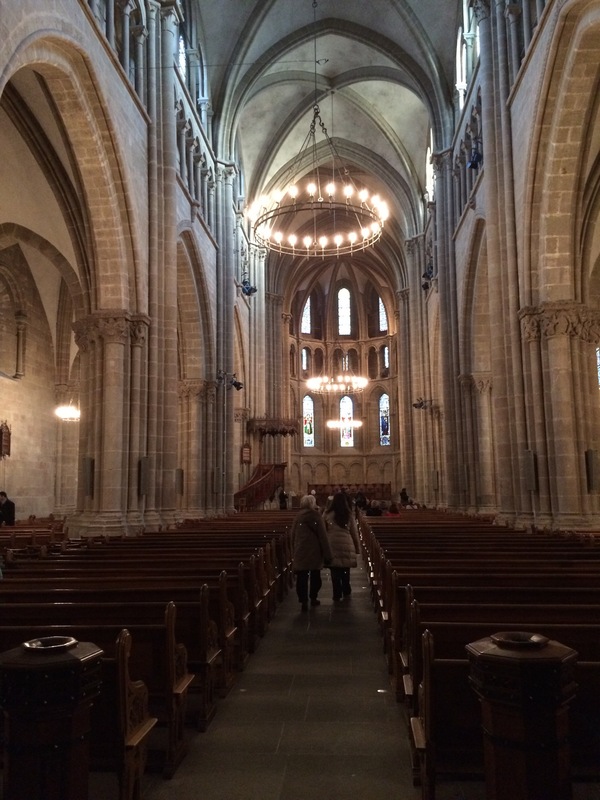 And then we spent about 20 minutes in the actual cathedral itself. 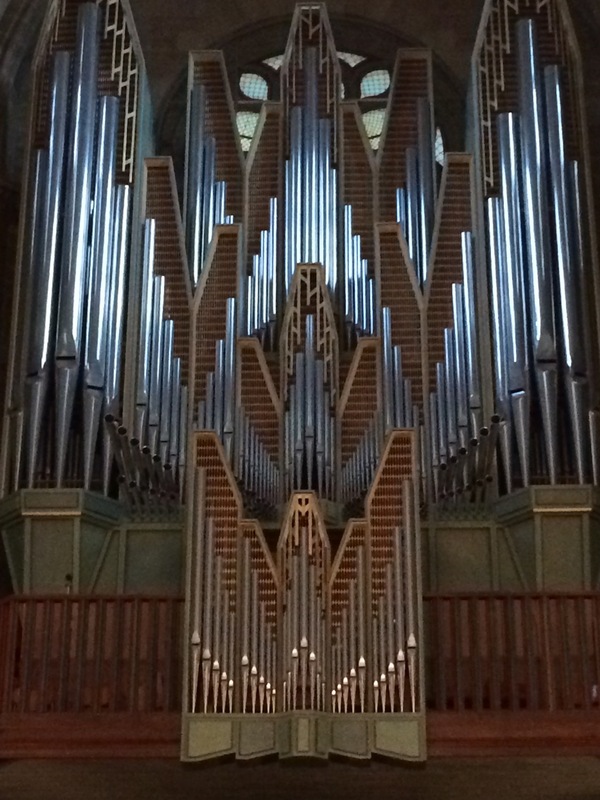 The most incredible pipe organ. They must polish the pipes weekly because it was practically glowing. I will always find this kind colonnade structure beautiful and soothing. 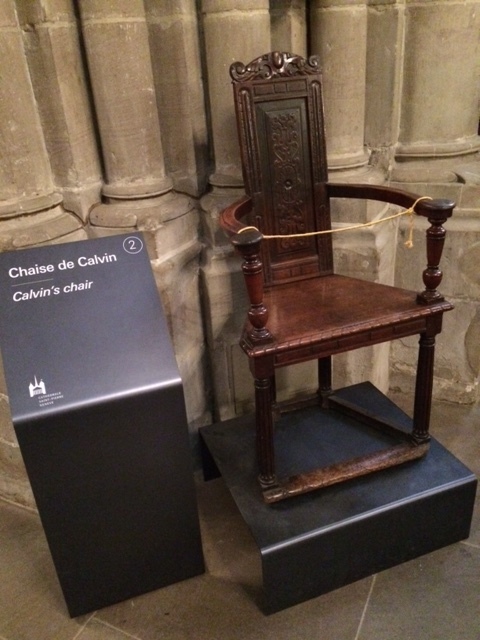 Calvin’s chair is in the Cathedral. There was also lots to see just walking around the old part of the city. 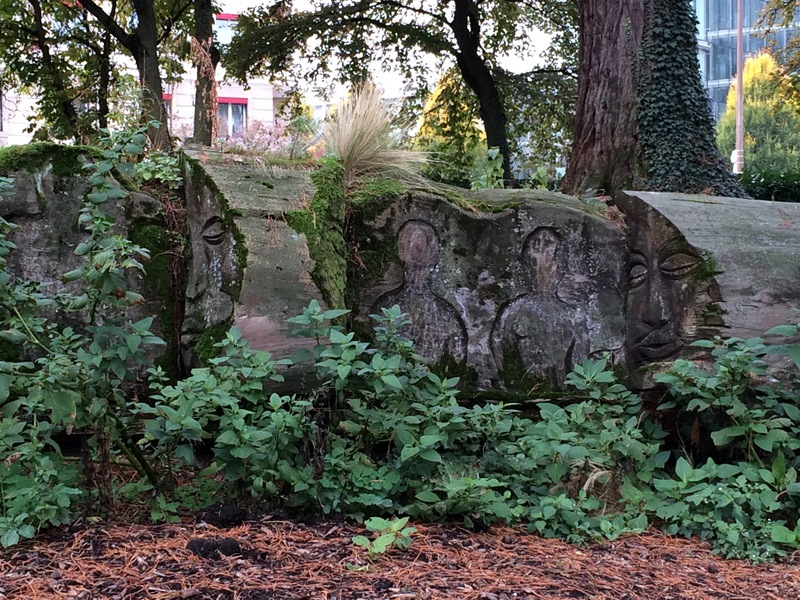 Art is really incorporated into the heart and identity of Geneva. If you’re going to build something you might as well make it beautiful! Gorgeous fountainheads all over the city! The waterfront was E’s favorite. 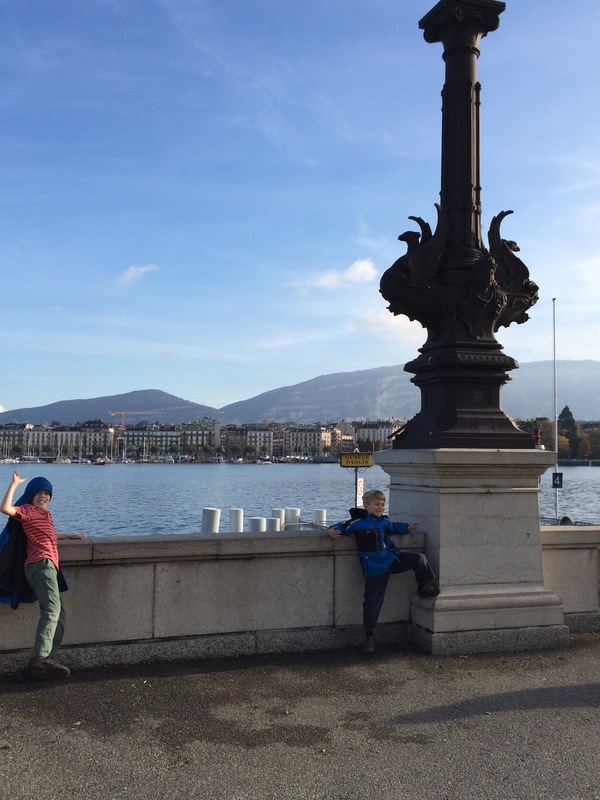 We really enjoyed Geneva. I am happy to have gone there and feel like it’s checked off my list. We might go back, but for now I’m satisfied to have seen this city, which has major world influence. And one last picture for my favorite boss! 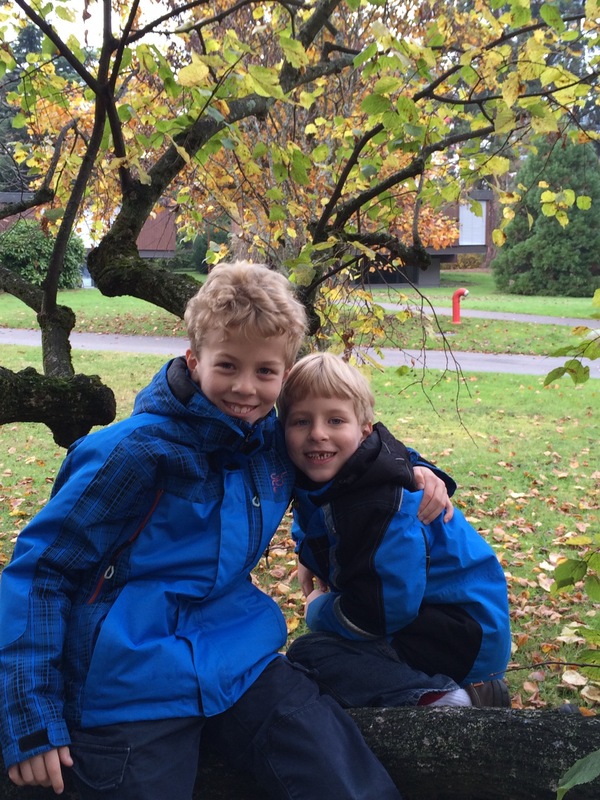 The Swiss Family Carlson Visits Bern!! Looks like a fun, very full day! Betcha everyone slept on the train back. Love your photo-journals!